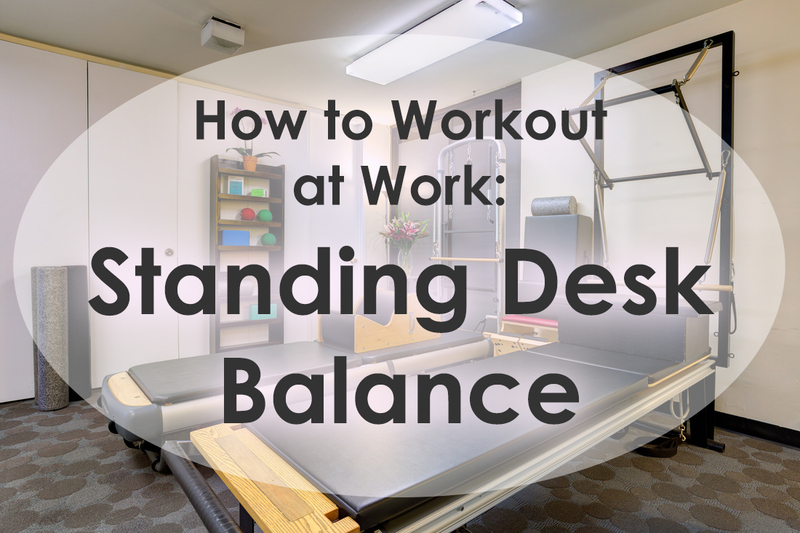 We don’t all have the ability to exercise at work, but Pilates can be done ANY WHERE! Got a Standing Desk? You’re already on the road to a healthier stronger you! Make the most of it by including this brief exercise to strengthen your hips and core and bring focus back to your day! Grow tall from your feet up through the crown of your head. Inhale, shift your weight back to your heels. Exhale, engage your abdominals, draw your pelvic floor in and up. Lift your right foot 1-2 inches off the floor, knee facing forward. Hug outer hips in toward your midline. Be grateful for Pilates AND proud of yourself for using your time wisely!